For that, you need something that impacts your skin all the way down to the cellular level, where skin health begins. RENU 28’s patented redox signaling technology has been shown to make visible differences in skin by actually making skin cells healthier. There’s nothing else like it on the market. With the advanced technology you get in RENU 28’s patented process, you might expect a steep price tag. RENU 28 doesn’t have one. Look at how it compares in price with other skincare products. Now consider that no other skincare product can actually do what RENU 28 can. There’s really no comparison. 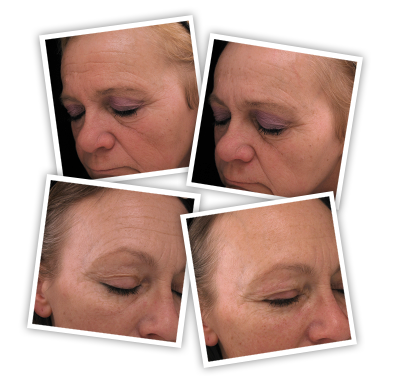 The skin’s natural ability to rejuvenate declines over time. Infants turn over skin cells about every 14 days. In adulthood, that time increases to 28 days and continues to lengthen. By age 50 and beyond, skin cell turnover can stretch to as long as three months. But with daily application of RENU 28, you’re giving your skin rejuvenating redox signaling molecules that improve your skin at the cellular level. Using a patented process that replicates the body’s own redox signaling molecules, RENU 28 enhances cellular health, providing whole-body skin therapy that revitalizes your skin’s health and appearance, with an increased ability to withstand everyday stressors. Whether you use RENU 28 alone or in conjunction with your current skincare regimen, the result will be the same: clear, radiant, healthy skin. Ordered test conducted by Dermatest® Gmbh, 04.2014. RENU 28 skin gel is revolutionizing the way we think about the health of our skin. It works from the outside in to promote cellular health, which then results in more vibrant, healthier skin on the surface. Daily application of RENU 28 skin gel on your face and other areas of your body results in healthier, younger, and more vibrant-looking skin. RENU 28 is a topical gel unlike any other on the market. With consistent use, you will see fresher, younger and more hydrated skin. Don’t believe us? Take a look at the results!